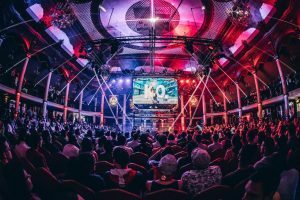 There are undoubtedly a lot of people who only have positive comments to make about the e-sports industry, which includes avid participants and enthusiastic fans. But, there are also some who have their reservations about how e-sports may be causing some dramatic changes to the traditional sports world. There is no doubt that e-sports have grown quickly in their popularity and still continue to do so at a rapid pace. There are some who feel that this attention which is now being given to e-sports is taking fans away from the traditional sports arena. Yet, there seem to be enough fans to go around to please everyone. A game of e-sports has no difficulty filling a large football stadium, with fans intent on watching the video game being played. At the same time, these very same stadiums are filled to capacity for many of the football games, which are also played in these same locations. Another concern that some may have is that e-sports will deplete the number of willing sponsors who may put their money into eSports, instead of the traditional sports. But again, there still seems to be plenty of sponsors who are willing to do both. Sponsors are savvy enough to know that there will always be room for traditional sports and that these events are a wise investment for their marketing dollars. At the same time, they realise they must take advantage of trends such as e-sports, which don’t appear to be a fleeting opportunity. Then, there is also the question as to whether more athletes will turn to e-sports, as opposed to traditional sports. e-Sports competitors are a breed of their own. Many who have become gamers have done so because this is their passion. So, it is true that e-sports have changed the world of sport, but most would agree in a positive way.